In short time Leonidio has established it's place as one of the most exciting new sport climbing areas. This place offers hundreds of routes to choose from, and plenty of new ones are being opened every year. The climbing styles offer something for everyone: tufalovers are guaranteed to get their daily dose of pump, but there is also technical routes and crimps for the slabmasters. If this sounds good and you like having concentrated area with hundreds of routes and enjoy red limestone with well-bolted routes, then Leonidio is your place. The sheer amount of routes and areas guarantee that there is enough routes both for beginners and experienced climbers. Some of the crags can be reached by foot from the village, but many need a short drive up the mountains. 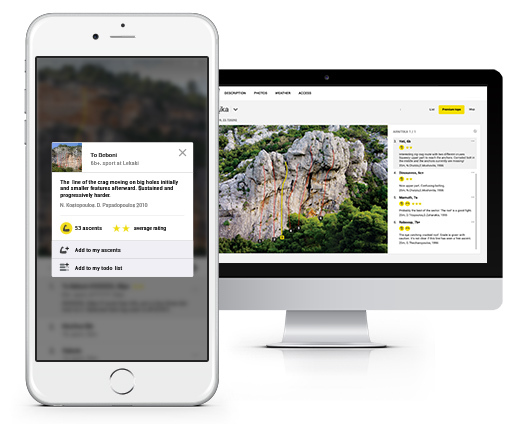 The climbing area is located around the idyllic village of Leonidio which offers extremely friendly atmosphere and great cafe's and restaurants to choose from. 27 Crags .premium topos includes currently the major areas of Leonidio and more is being added all the time! Best season is from October to April but it's possible to climb even during the hot summer months thanks to the cool mountain winds. Easiest option is to fly to Athens, rent a car and drive approximately 3h to Leonidio. Car is also needed to reach many of the sectors. 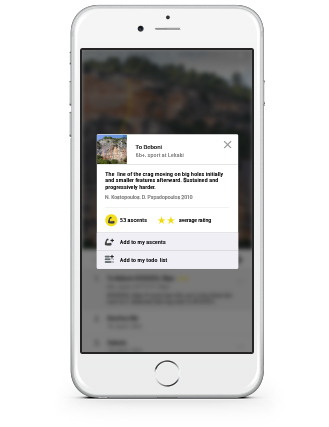 There's some hotels and hostels in the village and AirBnB is a good option too. Book early especially during the high seasons! Hiking and mountain biking are a good option for rest days. Also there's a beach close by if you wish to dip to the sea or make your climbing tan more even. Panjika Cooperative The best cafe&bar for climbers in the village! Also some climbing gear for sale. Hotel Hatzipanayiotis Beautiful & affordable rustic hotel with rooms for 1-4ppl. Breakfast included! Ev Zin Guest Houses Beautiful traditional stone houses, apartments & vacation house for up to 8 ppl. Picturesque Houses Picturesque furnished apartments for up to 5 guests. Hotel Dionysos Lovely and peaceful hotel next to the sea and only 10min drive from Leonidio. 7th night free for 27 Crags users! 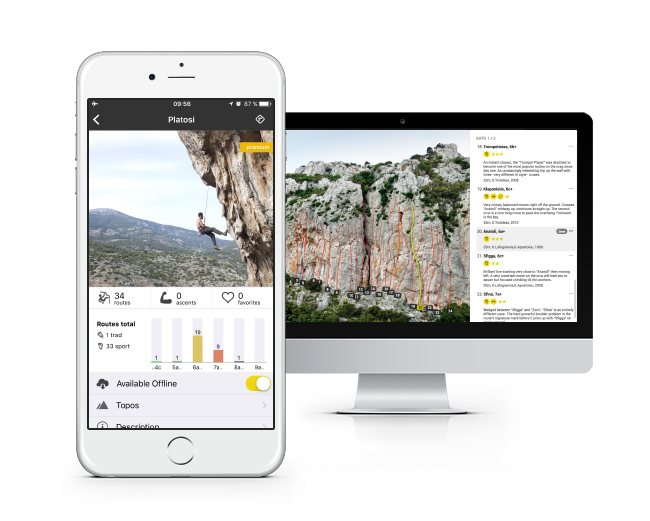 The most detailed climbing guide from Leonidio starting at €3.10 / month.